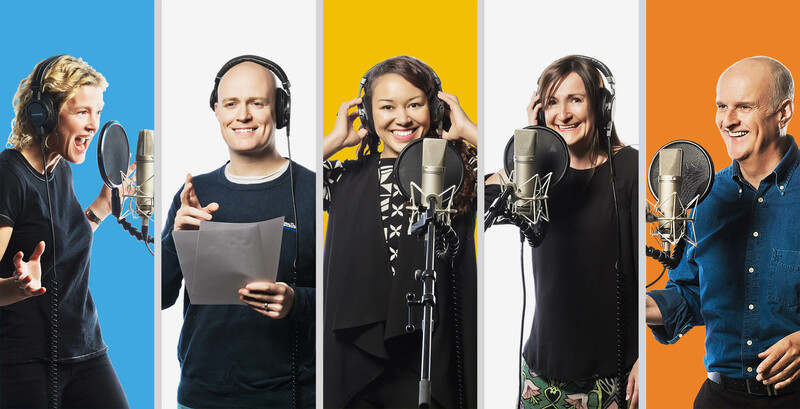 From beginners to advanced level, our expert-led voiceover training courses give you a structured way to develop your voiceover skills and learn how to run a successful voiceover business. 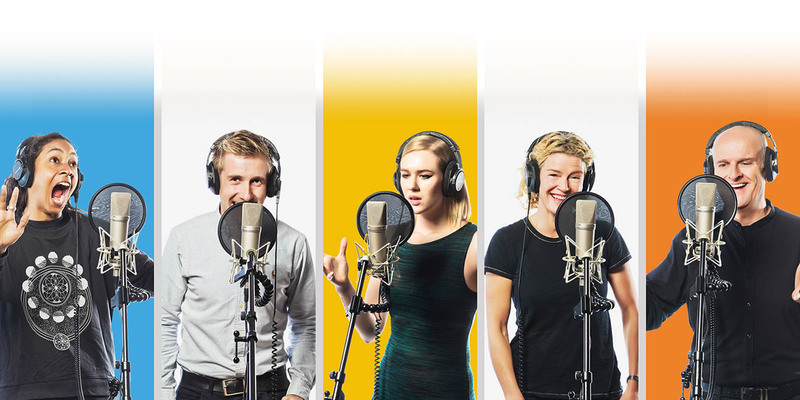 The highly engaging and interactive courses help you expand your voice skills so that you can confidently perform in a large range of voiceover work. Each course is broken into a series of lessons that make it easy to learn at your own pace. We also give you lots of additional resources to help you practice and master the skills you need to succeed. Members get access to our full library of courses that provide you with everything you need to develop your career. These courses are trusted by the leading voiceovers in the industry. We provide each member with an incredibly personal level of service. Our one-to-one mentoring gives you feedback on every aspect of your voiceover performance, skills and techniques. You upload clips (including your reels) and we critique them, evaluate and then constructively improve your voice and opportunities to get work. Our mentoring area is run by a professional team of industry pro's who are working in the industry today. They know the current trends, and hot topics so you get trusted advice. The mentoring team is also from both sides of the glass. We employ voice directors and casting directors as well as pro' voice artists. We have an amazing library of engaging webinars on every aspect of becoming a successful voiceover. As a member of Gravy For The Brain, you have access to over 100 hours of high-quality webinars that cover a range of topics. From audiobooks to voiceover software - these inspiring webinars will provide you with all you need to rapidly develop your voiceover career. Setting up your own voiceover business isn’t easy, there is a lot to learn and a lot to do. You want to avoid those ‘beginner’ mistakes so you career gets off to a good start. Our mentoring programme saves you time hunting around on the internet and gives you laser focused advice. From creating your own unique voiceover brand, to marketing and planning your finances, we give you the tips, tools and techniques to succeed. The modern voiceover artist needs more than just a good voice to be successful; he or she needs to be able to run their own voiceover business, have a handle on their branding, marketing and PR, manage the finances, know how to acquire and convert new customers, and how to retain their old ones, and much more. The great news is that it's easy when you know how. We will help you avoid many common mistakes that people make and will mentor you and your business personally, on a one-to-one basis. The life of a voiceover artist can be a lonely one, stuck in your booth from day-to-day. At Gravy For The Brain, we run regular social and networking events to help you meet and network with other voiceovers, voice directors and casting directors. At our socials, we have expert guest speakers who to give you the latest advice and techniques to help you stay ahead in this fast-paced industry. Our socials are fun, entertaining and are becoming established as the hub for a growing community of voiceovers. All our members are invited to our social events, at no extra cost. As well as our extensive webinar library, membership gives you access to all our forthcoming live webinars. The webinars are led by industry experts and feature insider tips and techniques to help you thrive in the voiceover industry. With a minimum of 3 webinars per month, you can learn how to capitalise on the latest trends in the voiceover industry from the top professionals in it. Members are invited to them all. At no extra cost. We have so many training courses, webinars, blogs and resources available to our members, it can be a little overwhelming. Where do you start? If you're not at the beginning, where do you pick up and carry on from? We have pioneered a brand new service which is freely available to all our paid members: the voiceover career planner. You answer a series of questions which investigate your current skillset, capabilities and experience, whether you're a complete beginner or a pro who's been working in the industry for years. We then build you a personalised career plan which is automatically linked to our full set of courses, our webinars, our blogs and our resources - all coupled with our 1-2-1 mentoring service to back it all up. As you travel through each course, or webinar, post or resource, the career report automatically updates and tracks your progress. Simple! No more feelings of being overwhelmed. Our career planner tells you where your skills, techniques and experience are lacking, then guides you on a practical path to filling those holes! Without having to break the bank, the GFTB Membership now offers a full, bespoke CRM (Customer Relationship Management System) just for voice artists and actors. Manage your business, produce your quotes/invoices, maintain your list of contacts and companies, keep track of your auditions and get the stats to help you grow your voiceover career. The only one of its kind, welcome to the worlds only voiceover jobs comparison service! P2P websites including Voices.com, Bodalgo, Mandy and more! Create & maintain your own public-facing career profile webpage! There's nothing like learning in a live studio workshop to give you confidence and stretch your voice skills. Our voiceover workshops are highly interactive, personal and deliver a fast and effective way to advance your voice skills. Our classes are never more than 10 students in total, so you always get the individual focus and feedback you need. The live workshops do have costs associated with them (we have to pay to get the top industry professionals to teach you!) but we don't make a profit from our members attending. Members get a huge 20% off workshop prices and early access to book these popular workshops (they always sell out). 12. Incredible Voiceover Hardware Savings! We are the only voiceover organisation in the world to have distribution deals with Sennheiser, Neumann, Focusrite, RME, Pop Audio and Novation. We also are the only voiceover organisation in the world who chooses their hardware partners based on a complete testing process of all the hardware, and we only sell the hardware that we use ourselves. We only sell voiceover hardware (microphones, audio interfaces, pop-shields etc) to our members. Our hardware shop is not run for profit - and we give all our members get an incredible deal – 15% off the most competitive high-street prices, guaranteed. Compare the saving you make on hardware to the membership price and you soon realise why so many voiceovers are joining Gravy For The Brain. Microphones, interfaces, computers and voiceover software prices have dropped hugely in recent years and it's now possible to create an entire recording studio at home for a relatively tiny budget. Globally, the voiceover industry is moving in this direction and over 60% of the world's voiceovers are now recorded in home recording studios. Understanding how to build, setup, run, manage, troubleshoot and maintain your home studio, as well as recording yourself with consistent technical quality can be daunting, but all our members benefit from our Home Studio course, our recording mentoring area and our home studio tests. Stick with us. Our members find that recording at home is easy once you know how! Our members have access to our extensive resources library at Gravy For The Brain. Our resources include voiceover scripts to practice what they've learned from our huge array of training materials. They include home studio tests to help calibrate and feedback their recording environments, 'stickies' & pin-up guides, and checklists for their booths and many, many more. These resources are only available to our members, but then they're available in buckets! Drips? DRIPS? What the hell are drips!!!??? Drips are a brand new, ground-breaking innovation pioneered by our Gravy For The Brain team. Drips feed you information over a specified time-frame. They bring you up to speed on an entire voiceover topic in overview, and in detail. You control your drips. You can turn them on, you can turn them off. Only our members get access to our drips.